I have a very eclectic homeschool curriculum line-up. A lot of time and research is behind all of my decisions. I’ve made some big curricula mistakes in the past but I have found several resources that work well at our house. Here’s the reason behind why I chose each curriculum item. I wanted a Bible study that we could do as a family and something that would cover the entire Bible. This program covers the whole Bible in a total of 4 years and you can purchase worksheets for any level. This allows all of us to study the same Bible passages but everyone has a page that targets their ability level. I felt that my oldest (3rd grade) would enjoy her own Bible study with me this year. She was ready for something more in-depth. I went with this program because it covers the entire Bible in 4 years but it also focuses on the main themes throughout each book. I love the “big picture” that it gives while also providing very detailed information and weekly Bible verses. I searched for a hands-on math program that taught the “why” behind the math concepts. I needed a program that was easy to teach and had good information for me – a person who is not strong in math. I felt that this program would work well for both my non-mathy oldest child and my math-loving second child – and it does! This program was added in as a fun math challenge to help my kids apply what they are learning in our regular math lessons. A lot of the lessons are done during the summer and it’s a family affair as both mom and dad help out with the assignments. This is a solid math program that contains good review and lots of practice problems. I use it as a supplement to our main math program. My oldest really needed some more pencil and paper math practice to help solidify math concepts so I use worksheets from this program for additional practice. I wanted a step-by-step phonics based reading program that was easy to use. This program is all of that and more with the included fluency pages, games, word cards, phonogram cards, letter tiles, and readers. This program takes my least favorite activity, teaching a child to read, and makes it simple. It also requires zero planning on my part. I found this program when looking for an Orton-Gillingham phonics method which is how I learned phonics when I was young. I knew that I believed in the method and felt comfortable teaching it as well. So, when I settled on this program I thought I had found the “Holy Grail” of phonics teaching, especially since it included all of language arts. I have since discovered that while there are aspects that I enjoy about this curriculum, there are other aspects that I greatly dislike. I don’t enjoy watchign the video lessons and I feel that sometimes the program jumps around. It requires a great deal of writing for the student and can be very time consuming. The method is solid and I have seen a great improvement in Curly’s spelling so I continue on with the program. I added this program in several years ago when I felt that the grammar included in Phonics Road was not systematic enough for our homeschool. I wanted something with more review and something that taught in a format that was more user-friendly than watching videos and skipping around through multiple pages of grammar examples. This program includes diagramming which I felt was important. It also requires no planning and has great review. I love that it includes definitions and lists to memorize as part of the program. I wasn’t in a hurry to start a writing program for my kids. I felt it was more important to help them learn to read and then learn to spell before I required them to write original sentences and paragraphs. 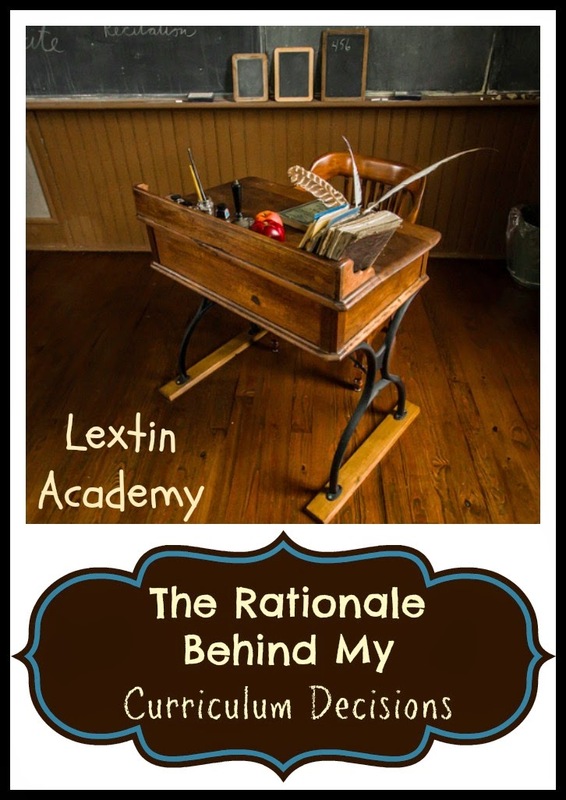 When I read about the method of dictation, narration, and copywork I knew I had found the gentle introduction to writing that I wanted for our homeschool. I chose to use the workbooks to make the program open-and-go and easy to use. I added this program into our homeschool starting in 3rd grade when I felt Curly was ready to have more explicit writing instruction and practice. She was reading to start writing a few things on her own and this program offered a gentle introduction to original writing by encouraging the student to expand on popular fables as a springboard and framework to writing original content. It’s also fun to use with interesting stories. Again, my favorite part is that it is easy to use and requires virtually no planning. I wanted a 4-year cycle of world history for our homeschool. I originally tried Tapestry of Grace but it required too much planning on my part for an elementary history program. I chose Story of the World in order to streamline our history studies and to help my kids see the big picture overview of history. I add in a few extra books for each chapter and we have found a well-rounded history program that my kids find interesting. It’s easy to pare down the chapters and do the bare minimum while still covering history. Yet, in weeks where we want a more in-depth look into history, the activity guide provides us with activities and projects. This is the first science program that was actually completed in our homeschool. I wanted something that was very easy to teach and included all the supplies necessary for the experiments and demonstrations. This program comes with everything in a giant box. The lessons are even scripted. I wasn’t sure I wanted a scripted program but the first time I tried to briefly explain gravity or concepts related to chemistry to my kids, I realized that a script was immensely helpful for someone-like me- who does not have a science background. I originally started with this science program but quickly discovered that the texts are information overload for a younger student. In addition, the programs are not very interactive and hands-on. However, we found that we did enjoy some of the information we learned so I changed this program to a read-aloud in our homeschool. Now, we read through one of the texts each school year and create notebook pages to write down our favorite facts from each chapter. This program contains more information than I ever learned about these topics in school so I enjoy that even I learn new things each time we pick up the book. This is the easiest to use Spanish program that I have seen. All it requires is one book. I needed a simple way to ensure that we studied Spanish each day. With this program we read the short lesson and Curly translates the 10 sentences for me. With the daily practice and review, she’s remembering the vocabulary words and grammar concepts. This program is an easy way to include art history and art instruction and it doesn’t take much time (or difficult to find supplies) to complete the lessons. Once a week we read a lesson that often includes information about an artist or artistic time period and then we do the project for that lesson. The lessons are also structured in a way that Curly can complete them independently. It’s the low stress way to include art in our homeschool. So, I sometimes have overlap between subjects. I have a little bit of everything from a variety of publishers. However, the curriculum we use has changed over time based on what I feel my kids need and what I discover is missing in our homeschool. Yes, there is a method to my madness!